I watched Selma yesterday and was totally blown away. Here we have Dr Martin Luther King who led the civil rights movement, for 13 years giving African Americans among many things, the right to vote – a basic human right. His story was one of a man who feared God and used his head and hands to do what the bible tells us to. I couldn’t help but draw parallels between this long walk to freedom and the story of the Israelites’ exodus out of Egypt. Both bargained with a powerful leader for freedom. Both were denied many times. And when the going got really tough, both saw bloodshed and endured intensified brutality. 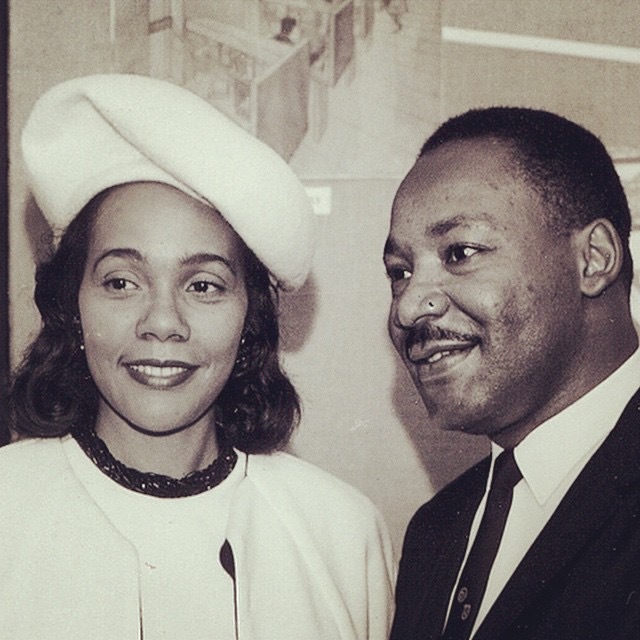 They both led a people who stood behind them and the dream they had. Sometimes the people grumbled and they came close to giving up. Both had strong wives who played a key role in driving the mission at hand…Eventually both were led to freedom and overcame. Martin Luther King was murdered aged 39, by which time he had won a Nobel Peace Prize and achieved things which altered the course of American history for generations to come. I’m 30 eek! For me, this is NOT ALL about colour but also what man can achieve when he trusts in God completely, selflessly gives of himself and works incredibly hard with both his hands AND head. Too often as Christians, we stop using our heads. I for one am guilty of this. I sat on the floor, probably painting my toenails with my phone wedged between my ear and shoulder. It would have been one of our fortnightly calls where my friend Mona and I would catch up and essentially download the events of the previous 2 weeks into a one sometimes, two hour phone call. First, we’d discuss important things like the kids, work, love and as always, they’d be time at the end for AOB – all other business. 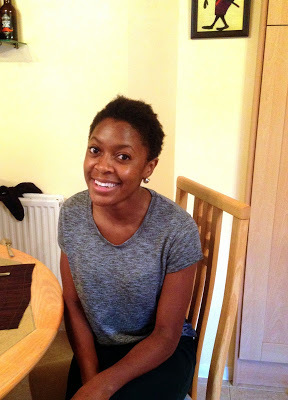 Lately, my hair had become a regular feature in the AOB section – this week was no different. “Monaaaa”, I whined. “I really want to cut my hair but I’m convinced I’m going to look like a boy. I wish there was some way I could preview before I put a pair of scissors to my hair!”. She took a moment to consider (for the 111th time) then thoughtfully replied, “Maybe you could look at pictures of when you were younger and had short hair? That might give you an idea of what you’ll look like.” Mmm, that could be interesting, I thought. After I came off the phone, I fetched my box of family pictures and casually flicked through them. Almost immediately, I was confronted by a picture of a sweet little boy in a pretty dress. As a child, I had a deep, husky voice. That, combined with my boyish looks and unisex name meant that I was often mistaken for a boy. As I looked through pictures of me as a little boy, I noticed I looked happy and at peace with myself. I started thinking about when my hair had become such a big deal and why this “boy thing” mattered so much – 3 things occurred to me. I wanted to cut my hair because I wanted to. It was not for anyone else but me. I’ve noticed that as I get older, my list of regrets grows with me. Most of my regrets are things that are now outside of my control. It would be a shame for me to one day find myself on my death bed carrying this actually, rather inconsequential regret which today, is 100% within my power to fulfil. My identity. I am a Christian and the bible tells me that “I am fearfully and wonderfully made”. When I think of that verse, I picture God holding me and trembling, in awe of this beautiful thing He has created. To me, this means there is not a single hair on me that is out of place. It’s just hair. 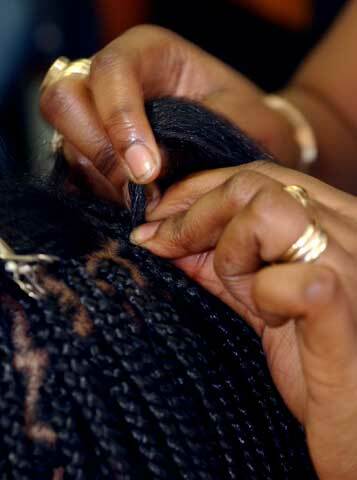 As a black woman, my hair is an important part of my identity. For many black women the frustrations we have with our hair are embedded in our genes, or in my view, in the definitions of beauty birthed in media. However, at the end of the day, it’s just hair. Mine may never be blond, poker straight and grow all the way down my back but, it will grow back. Worst case scenario, I figured if I didn’t like it, I could put it in braids and weaves until it was long enough to start lacquering with chemicals all over again – hooray! And that, is the story of how I finally made up my mind. Cutting my hair has been a bitter sweet experience. I love observing the way people react to my hair. Many of my black family and friends still don’t get why I felt I had to do it but yet, I notice this strange fascination. They like it… they admire it… but no, it’s too much! Still, every so often, I catch them staring. It’s like their mind is working, perhaps reprogramming… well, at least I hope. I have pulled together a list of my top 5 observations since I cut my hair. As always, there is a fine line between humour and stark reality – I hope you find it interesting. Despite the overflow of well-wishing comments about how I would “totally rock a little fro” or “how I have the face to carry off short hair”, I think I look like a boy. I think most women who cut their hair feel the same way. According to me and my 2 friends, the only exception to this rule applies to the 0.5% of women who look like Halle Berry. Outside of this, there is a strong chance if you cut your hair, you will look in the mirror and think “Mmmm. A nice African boy”. No. 2 It feels soooo good. Contrary to popular belief, I think short hair does care. In an attempt compensate for my new boyish looks, I find I wear more make up. Leaving the house without earrings has now become a crisis equivalent to forgetting my mobile phone at home. It’s that naked feeling which forces you to go back in the house even though you are already sat in the car, seat belt buckled, engine revving to go. My conclusion, short hair definitely does care. No. 4 Its a cold world out there! Since I cut my hair, I’ve found the world just that little bit less helpful. I can’t decide whether my short afro hair makes me look like some kind of stereotype society doesn’t welcome around here or quite simply, I just don’t suit my new hair! I find the female shop assistant is not as warm and quick to help me find aisle number 26. Fewer people seem to notice me struggling up the stairs with that heavy bag. Male colleagues are not as willing to help me with my small favour. My advise in short, prepare to do more heavy lifting! Although beauty is definitely in the eye of the beholder ;-)!!! She casually walked into my room and stood by the door “My hair has started falling” she said smiling as though she had just told me that dinner was ready or some other mundane household update. My heart plummeted into my stomach. I knew this day was coming but it had still caught me off guard. In the summer of 2007, my mother was diagnosed with breast cancer and started her chemotherapy treatment shortly after. The first day of chemo had been like the first day at school. There were nerves and preparation the night before. We arrived at the Oncology unit unusually early as though our good time keeping would ingratiate us with cancer. When her turn came, my mother sat in the armchair whilst the nurse fitted her cannula. “Have you had a chance to think about whether you want to try the cold cap Emma?” the nurse asked. The cold cap is a method of minimizing hair loss during chemo. By cooling the head, the cap reduces blood flow and in turn the amount of chemo medication that reaches the scalp. We had previously discussed the merits of using cold cap and I had felt she was more inclined to try it. That summer morning, I watched my mother consider the nurse’s question whilst sthe scanned the room. Her eyes rested briefly on the only other woman wearing a cold cap. For whatever reason, she decided not to use the cap. My mother was strong. She had always been strong. My earliest memory of her incredible hair journey went back 23 years. It was 1991, my father had just been offered a job stationed in Ghana. 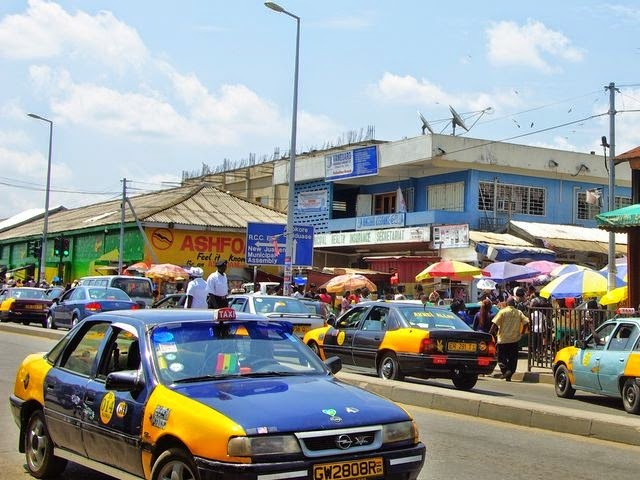 So, off he went with his wife and 5 children to start a life in the little sleepy town of Koforidua. 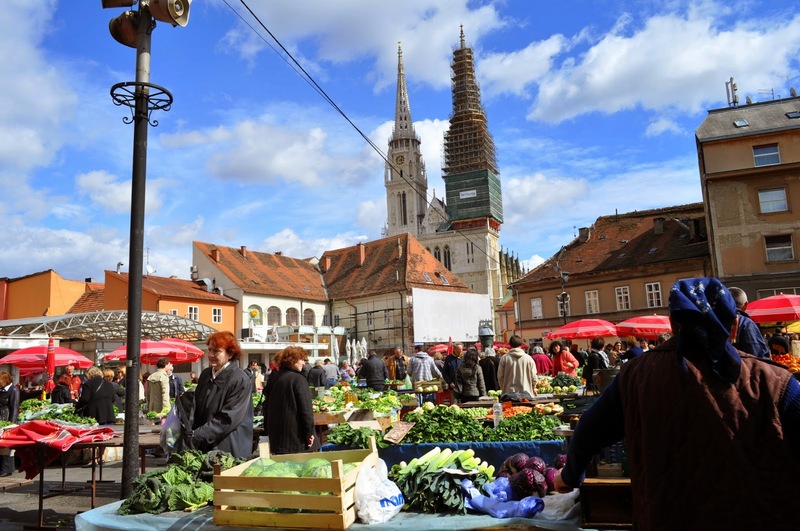 My mother got herself an apprenticeship working at Tina’s hair salon – a small shack in the local market square. So, while we were at school, she would spend hours learning how to perm, relax, roll and dye hair through a variety of hand gestures, some English but mostly in Twi, a language she didn’t understand. In the meantime, she had started ordering equipment and products – a hair dryer, dyes, rollers, and giant tubs of Blue Magic hair food, to name a few. I remember there was a lot of Blue Magic, which ironically, also came in green. 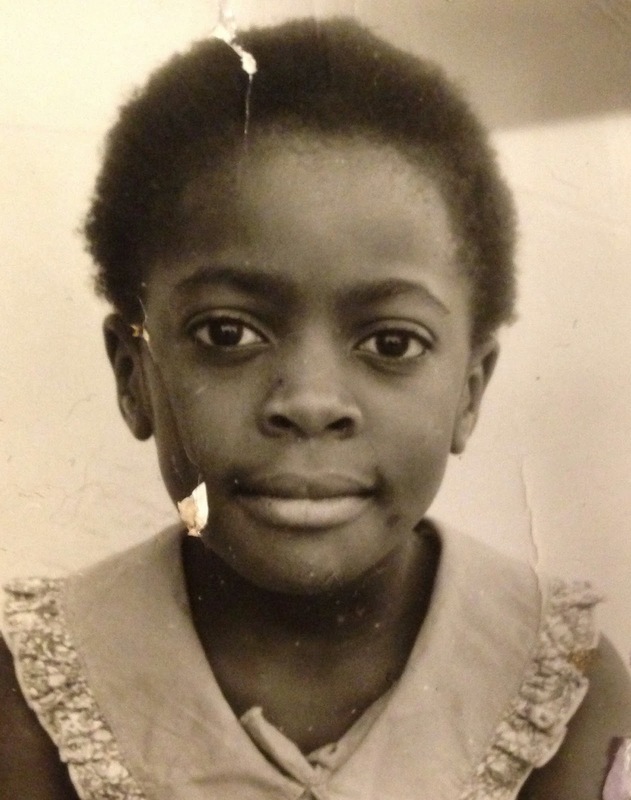 A year or so later, certificate in hand, the whole family headed back to Zimbabwe where my mum poised herself to launch her fabulous new hair salon…. in the storeroom next to our garage. The Salon was roughly the size of a small double bedroom. It consisted of one hair dryer, several kitchen chairs (slightly damaged), a white and gold “bedroom style” dressing table, no assistants and one sink which only ran unforgettably icy cold water. My mother’s salon took the neighbourhood by storm! 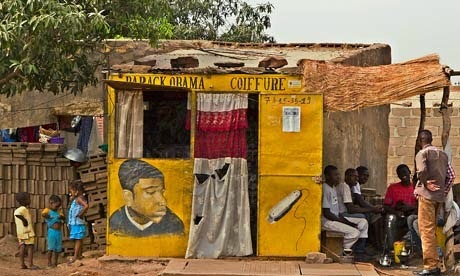 The rumour was, Emma had returned from Ghana and opened a salon using products from America! Neighbours, church friends and eventually word of mouth customers flocked to our little storeroom to try Dark & Lovely, Blue Magic, Crazy Colour and Lusters – brands which were still scarcely available in Harare. The hairdryer was the first to feel the heat, or rather, the lack of it. It turned out the hairdryer was not designed to cope with professional use. So on any given day, my mother would offer her customers the choice between waiting for the dryer to emerge from its lull or sitting on the patch of grass outside the storeroom while the African sun did the finishing touches on their roller sets. 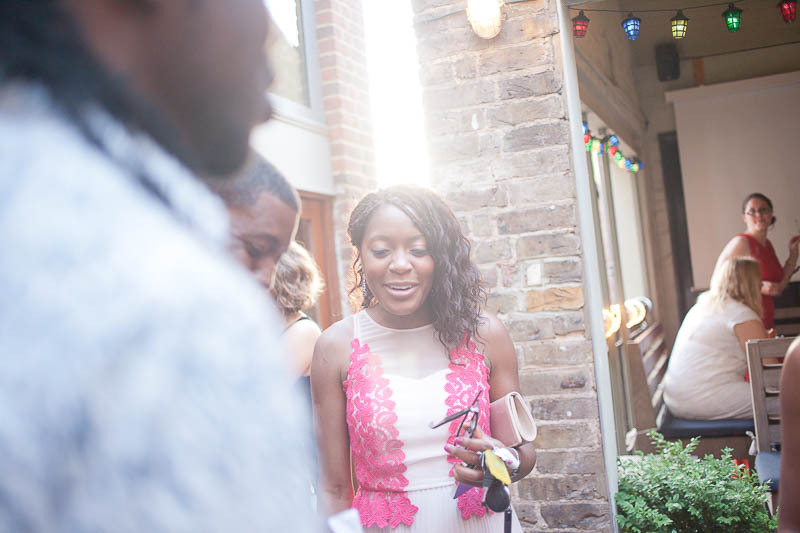 Over the months, there were amazing transformations, smelly perms, an unfortunate incident with a woman whose relaxer had been left on too long, and one time, my mother had even had a full complement of bridesmaids – bride also included. My mother loved people and had enjoyed her salon. She would animatedly tell her captivated customers stories of what she had seen in Ghana, often regaling tales of her experience working in Tina’s salon. Naturally the details of its shack-like quality were omitted. All the while, my mother and father as a team made sure all 5 children were fed, watered and in school. “Mum.” I choked, my eyes brimming with tears. “It’s only going to fall off anyway” she reassured me, still smiling. I stood behind my mother and cut her hair. Although the scissors I held were the instrument, her hair gave away too easily – the effect of the chemo. As her hair fell onto the towel resting on her shoulders, I wept. I wept for the hair. I wept for this new uncertain season we were entering as a family. I wept for things I did not yet understand. Not too long after, my mother and sister came home one afternoon with a new wig which my mum affectionately called her hat. In the months that followed I watched my mother swing between anxiety to insecurity to indifference and back again. When we went out, she would wear her hat. This generally meant lots of scratching and adjusting, as it was warm and would irritate her exposed scalp. I guess it must be like wearing an itchy woollen hat throughout the highs and lows of the summer. On hat days, my sister and I would take it in turns to tweak, fluff and sometimes spin her hat a full 90 degrees back into its correct position. Some days she wore a scarf to protect her head from the cold. Other days she was just too cancered out to care and wore her battle wounds in plain sight for all to see. 3 years later, we lost our mother after an incredible Chimurenga war. Come to think of it, she had always claimed to be related to Ambuya Nehanda. October is breast cancer awareness month. Cancer is pretty tough business – I speak as a mere observer. I would like to encourage you/myself to look around our communities – people are living it everyday. Make a meal for an affected neighbour and/or his family, pray for the people going through it, visit, call, do a sponsored walk, listen, be patient, encourage but ultimately, give them the greatest gift, that is LOVE. This is my single story. Like an expectant mother rubs her swelling belly, I dug my fingers into the depths of my hair and smoothed my fingertips over the growing tiny coily curls. I was curious about the surprisingly unfamiliar texture and fascinated by the density of my new hair. Every now and again, I would pluck a hair from the roots, stretch it out and delight at how it would extend to twice, sometimes three times its curly length – a seemingly odd ritual I’ve since discovered is not unique to me. I planned to give my hair the best start. So, after spending some time researching the best styles to protect my hair during this transitional period, I headed to Peckham, an hour’s drive in London to find the best range of hair products. 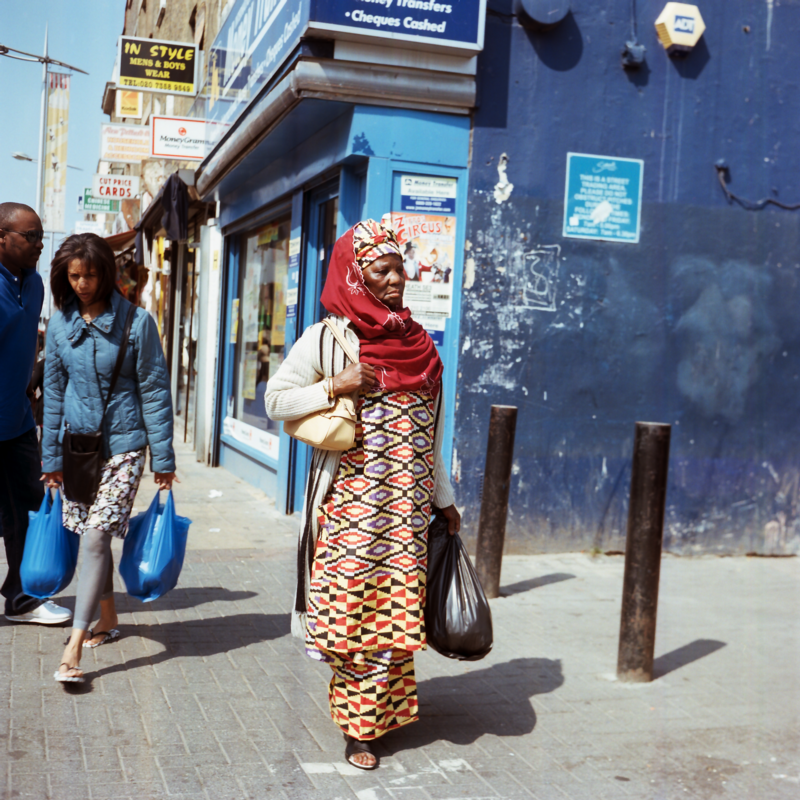 To me, Peckham has always felt like a short haul drive to somewhere exotic. Somewhere where it’s not unusual to see an African woman in full traditional attire buying a TV in Argos. Somewhere where it’s not ludicrous to hear that song from back home being blasted through the windows of the local DVD pirating shop. I remain convinced the temperature is a couple of degrees higher! 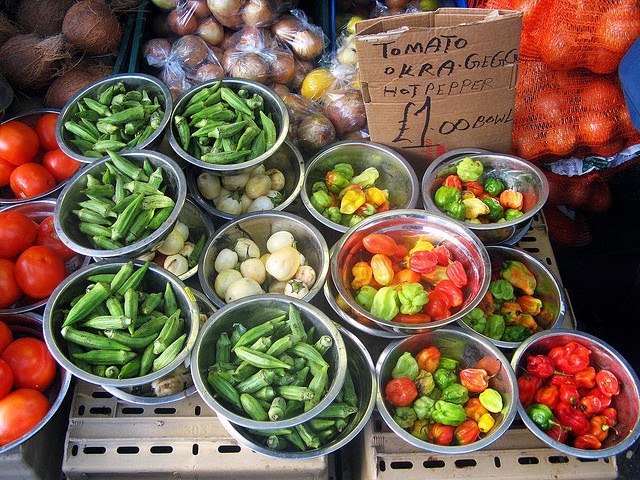 As I walked through the streets of Peckham, I was enticed (occasionally assailed) by the smell of exotic foods from all over the world. From the unmistakable smell of salt fish, to the sweet aroma of overly ripe mangoes. I made a mental note to pick up a roadrunner chicken on my way home. After all, who doesn’t want to boil their chicken for an hour and a half before it’s ready! I walked into the hair shop and was immediately overwhelmed by choice. There were only 5 aisles in the store but they were packed from floor to ceiling with all kinds of hairy delights. 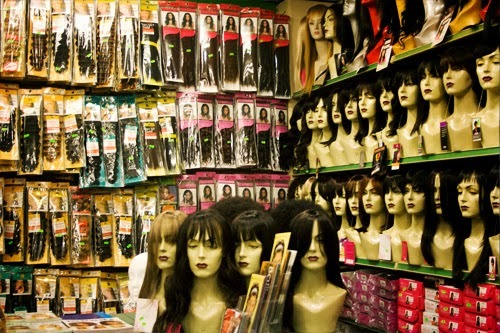 Whether you were in the market for hair extensions, hair food, perm rods or a durag, this shop had it all. I ran my eyes over the rows of hair. I could be Beyonce, the wavy haired blond bombshell; Trina, the shy type in a cute dark bob or even Gerti, the sassy no nonsense minx in a mini afro. On this occasion, I going to be Auntie Lizzie, the not so plain Zimbo girl in wavy long braids (as recommended by my hairdresser). After a respectable search to no avail, I decided to ask the sales assistant for help. “Excuse me, please can you help me.” The tall Asian man looked over at me. “I’m looking for a brand of hair extensions called Auntie Lizzie.” The man started walking over to me with a stern look on his face. He continued walking until he was standing so close, I could feel his breath on my face. His body language was confrontational. I felt intimidated. He looked down at me with menacing eyes and for a second I thought he was going to throw me a punch. I looked back at him feigning confidence and added, “Do you stock this brand?” He glared at me for a few moments longer and in a split second, he had a personality transplant and broke into a more jovial and professional character. “What is this Auntie Libby?” he asked. Slightly taken aback by the bizarre personality transformation, I went on to cautiously explain that Auntie Lizzie was a brand of hair extensions for braiding. To his credit, he put quite some vigour into the search for “Auntie Libby”. Through a dialogue of broken English, he asked me questions about “Auntie Libby” calling upon other sales assistants and offering me other (dearer) alternatives along the way. After about 10 minutes, he eventually called off the search party and concluded. “The boss is not here, he knows everything. Me I don’t think so we have Auntie Libby. Our hair grow long you know, so we don’t have this problem and I not really understand what you looking for.” (he said in essence). He smiled politely. I walked away with my head hanging slightly lower and like a dog eats his own vomit, I continued to wonder the aisles of the offending shop picking up basic supplies. I watched the male sales assistant interacting with other young women in the same aggressive style. Curiously, many of the younger women humoured this strange behaviour, squealing like silly schoolgirls. The flirting is something I had observed on many occasions in other similar stores. I had never understood it. After all, you don’t openly flirt with the sales assistant in Boots or Superdrug. Perhaps it was the prospect of the 5 – 10% discount. I guess everybody wants to look like Beyonce for a bargain. I did eventually find my Auntie Lizzie hair in different store and also managed to pick up my roadrunner chicken before heading home victorious and humming to that song from back home. So, 2 weeks ago I decided to cut off my relaxed hair off. It wasn’t breaking. I wasn’t going through some kind of mid life crisis. I just decided I wanted to experience life in my natural hair. After over 20 years of either relaxing my hair or wearing it with a variety of wild and wonderful attachments, it felt long overdue! Somehow, I had expected the reception Lupita N’yongo has received. But, it seems off the Oscars stage, our natural God given hair is still a little too… unconventional. I have walked into so many rooms and felt like there is a rainbow coloured elephant in the room, complete with bows and whistles that no one is willing to acknowledge. On the whole, most people don’t say anything. Occasionally, one person will say “new hair?” – something I have now come to understand to be a rhetorical statement, uttered purely to take the edge off how uncomfortable they feel about not positively acknowledging my new hair. So much for my most dramatic hairstyle to date! He wanted to know why my hair had changed so drastically and then, in an open plan office full of people (OK 3 people, but still) he asked me “so have you been wearing a wig all this time???”. After I regained my composure, I went on to nonchalantly try and explain the structure of afro hair and the process involved in relaxing it. I think he sort of understood because he took a moment to consider what I had said and thoughtfully replied “So you’ve gone natural!”. At this point, I was beaming! I felt completely satisfied that in my own small way, I was part of the movement. The movement to unashamedly educate people about being black without westernising myself “to make you feel more comfortable working with me”. I felt pleased. However, nothing could have prepared me for what happened next. Without any warning, my male colleague with whom I have a VERY professional relationship asked “Can I feel it?”. Without waiting for my response, he reached over and touched my hair… at work… by my desk… like he was stroking a rare African antelope or some other wildlife. “Mmm. It’s soft”, he lied. And that ladies and gentlemen is a summary of my first two weeks as part of “team natural”. Many people have asked me how I feel since my big chop. “Is it weird?”, “you must be feeling liberated?” So far, its been all of the above!